Sensorless ISG ECU replaces traditional starter motors and alternators; enables smooth engine ignition using a single BLDC machine. Ten-year-old Sedemac, which was incubated out of the research labs of IIT-Bombay, has indigenously developed a sensorless integrated starter generator (ISG) solution for vehicles driven by internal combustion engines. The company says the innovation is the world’s first sensorless ISG technology. According to the company, sensorless ISG as a product is based on an underlying fundamental technology on sensorless motor control. The product, in its current form, has applications on small engines, which typically power two- and three-wheelers and also small stationary engines in gensets. The underlying technology, on the other hand, has applications even in hybrid and electric vehicles along with ICE vehicles. Although the company is currently supplying sensorless ISG to a leading Indian two-wheeler maker, it is expecting the technology will see even wider implementation in the (two-wheeler) segment, due to new model launches planned in 2019. The company, however, refrained from disclosing the specific customers to which it is currently supplying this product due to non-disclosure agreements. Four technocrats including Shashikanth Suryanarayanan, who is also a serving professor at IIT-Bombay, formed the company in 2007-08. At the time, he headed a research group which focused on projects around automatic controls or mechatronics in the automotive domain. 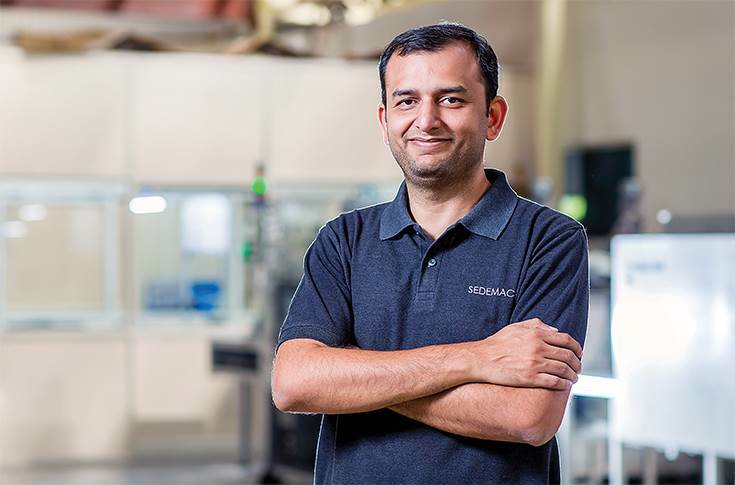 Sedemac CTO Amit Dixit: "Mechanical systems are getting replaced with intelligent mechatronic systems. That way, automotive with increasing electronic content is a big market for us." Autocar Professional recently caught up with Amit Dixit, who is also amongst the four founders of Sedemac and heads the R&D vertical. Dixit was one of the students (pursuing MTech) in the research group headed by Prof. Suryanarayanan at IIT-Bombay. Steer-by-wire and power steering (in PVs) are two different technologies. The concept of power steering revolves around providing an aid via torque to the driver in terms of reducing his manual efforts in steering the car. On the other hand, in a steer-by-wire system, there is no mechanical interconnection between the steering and the vehicle’s wheels. “That technology was far-fetched in terms of adoption at that point in time,” pointed out Dixit. Notably, that technology is still rare to find in the passenger vehicles sold in India today. However, according to Dixit, some off-road vehicles may have the steer-by-wire system. Research students test-drove a vehicle fitted with steer-by-wire tech at the IIT-Bombay campus 13-14 years ago. While the steer-by-wire project was sponsored by Sona Koyo and endorsed by Mahindra & Mahindra (M&M), the two-wheeler EFI project was supported by TVS Motor Company, recalled Dixit. “Those two projects gave us the confidence that we can develop innovative products that can create value for the automotive industry. So we wanted to continue innovating and developing new technologies and new products. That’s how Sedemac was formed,” he added. 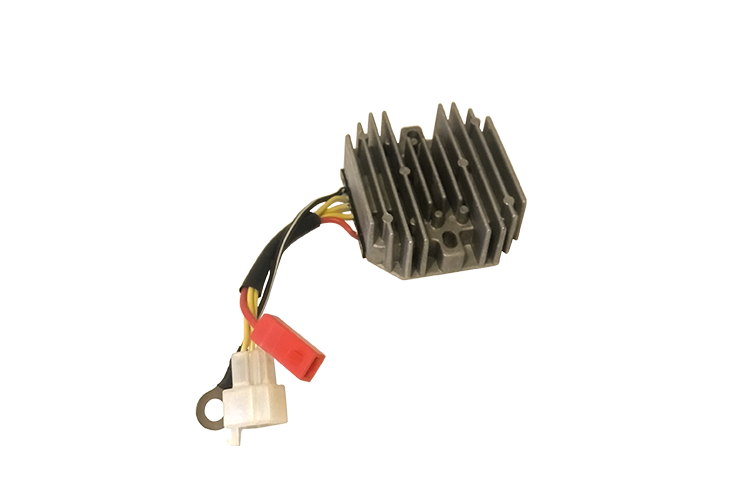 Voltage regulator and rectifier enables efficient and regulated power transfer from generator to DC and AC loads of a vehicle. The second project on small engines was also ahead of its time. Carburetor-fed engines even today power a larger proportion of two-wheelers on our roads. The technology around electronic fuel injection is found only in premium two-wheeler models. As a result, the second project also did not see the light of the day. “It was more of a technology demonstration via a prototype. It was not a product that could be sold. The difference between a technology demonstrator and a product is that a product will have several considerations, which are ideally not made during technology demonstration. These considerations include durability, the type of environment it has to withstand, cost, optimum size, and other factors. 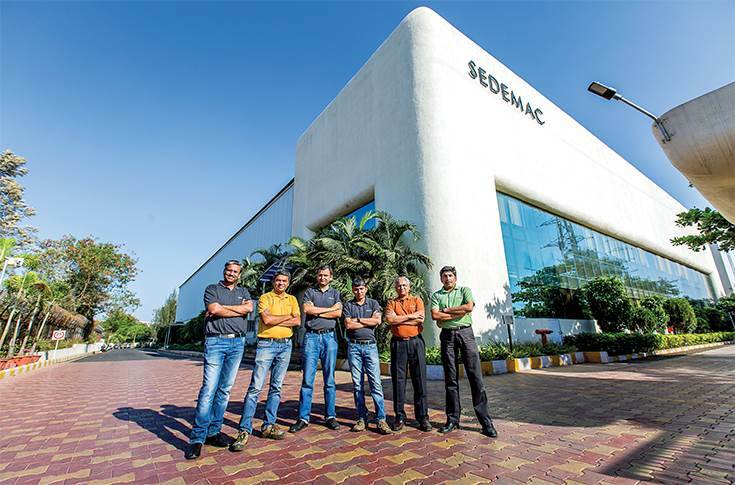 After Sedemac was formed, the first exercise was to convert that technology into a product, this time as a part of this company,” said Dixit. Later, the first product that this young company developed was the EFI control unit (ECU). However, since EFI is associated with vehicle emissions and is relatively costlier to manufacture, it did not find many takers in the Indian market, due to BS IV norms. “We understood that such products would get into mass production only when the government would mandate stricter emission norms,” he added. This product is finally expected to pick up after the implementation of the BS VI emission norms in April 2020, probably even before. Nevertheless, the first solution that Sedemac developed and saw large-scale adoption was for carbureted engines. It called the new technology 'smart ignition'. “All carbureted engines use ECU for controlling spark timing. It is known that the timing of the controlled explosion inside the engine has a huge bearing on the performance of the engine. The smart ignition controlled the method of spark timing,” explained Dixit, while underlining the focus on technology at play in IC engines. It is understood that typically throttle position sensor and speed sensor are deployed for controlling the function of spark timing inside the piston. Sedemac’s innovative smart ignition technology eliminated the need for throttle position sensor and speed sensor. As a result, the smart ignition solution got instant recognition from the major two-wheeler companies. At present, two-wheeler OEMs such as TVS Motor Company, Bajaj Auto, Hero MotoCorp and others use this technology. 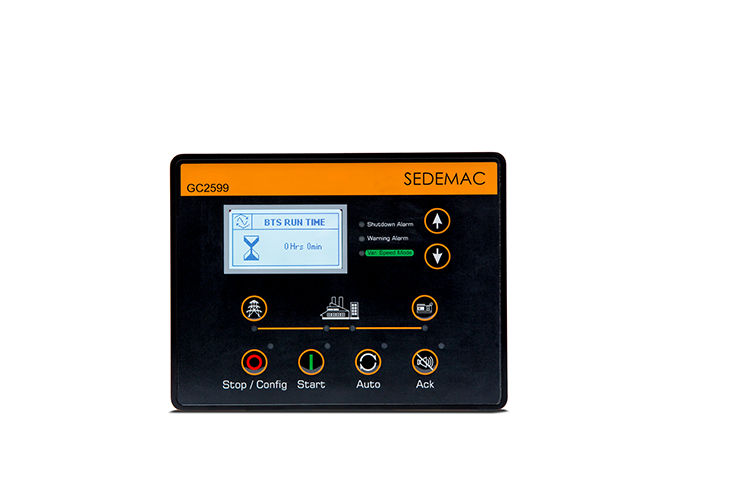 The cumulative implementation of Sedemac’s smart ignition technology is more than 16 million units. Or 1.6 crore vehicles with this tech are running on roads today. “We have strategically focused on the two- and three-wheeler industry along with off-highway diesel engines. When you are starting off a new company, you cannot compete with the big, established players. You need a growing market where big players are not established. We observed that the 2/3-wheeler market and off-highway segment were growing in terms of electronic content with solutions that we were developing. These markets are growing rapidly for electronic control solutions. These are mechatronics solutions. Mechanical systems are getting replaced with intelligent mechatronic systems. That way, this is a big market for us,” explained Dixit on why he is bullish about the prospects of the mechatronic solutions in the automotive industry. Following up on its smart ignition technology, with which Sedemac made its first impact in the industry, the company is now betting big on the sensorless ISG, which eliminates the need for a starter motor. Conventionally, ICE engines need cranking to start off the ignition. This cranking was earlier done via external means, manually via a kick lever or through an electric start button. It is understood that in case of an electric start system, the energy is drawn from the battery to ignite the engine. Repetitive electric starts lead to depletion of the stored energy in the battery. Sedemac's top management. L-R: Rajesh Kulkarni, senior VP (Global Sales); Shashikant Suryanarayan, chairman; Amit Dixit, CTO; Manish Sharma, COO; Rajesh Sheth, VP (Finance & Accounts); and Nikhil Rai, VP (Global Business Development. To restore energy in the battery, on the other hand, starter motors are deployed as a conventional method. “To put the energy back into the battery, there is a separate system (magneto coil). So there are two electric systems connecting the battery and the engine. There are certain limitations in this system. For example, the starter motor is a brushed motor, which has rubbing parts and hence it has a finite life. What does ISG do? It uses only a single electric system for both functions — starting engine and recharging the battery,” explained Dixit, highlighting how ISG eliminates the functionality of starter motor. Sedemac’s sensorless ISG went into mass production in early 2018. It is used in one of the commonly sold two-wheelers today. The technology is all set to see a wider implementation from next year. “The ISG can be used in small engines, stationary engines and can have several other applications too. We are in talks with all major OEMs. New products with ISG tech will be launched next year,” disclosed the CTO. Sedemac has already begun the process of increasing the production capacity of manufacturing the ISG units. Interestingly, this technology can also be deployed in passenger vehicles. According to Dixit, “Sedemac is open for car-specific applications too. Our ISG tech has applications in stationary engines as well, predominantly in the USA.” That said, the company aims to foray into the passenger vehicle segment soon. Sedemac currently employs about 230 people across its engineering, production and other verticals. It has been doubling its annual business over the last eight years. It is also aggressively working on the Internet of Things (IoT) and has already set up a dedicated team for the same. “We are investing into IoT. We believe that we have a unique role to play in IoT. Unlike other start-ups, we already are entrenched in this industry (auto) and our strength is the application of physics. We are sure that we will be able to develop unique, value-based on IoT. One example could be of predictive maintenance,” remarked Dixit. The first IoT solutions from Sedemac can be expected as early as Q1 CY2019.